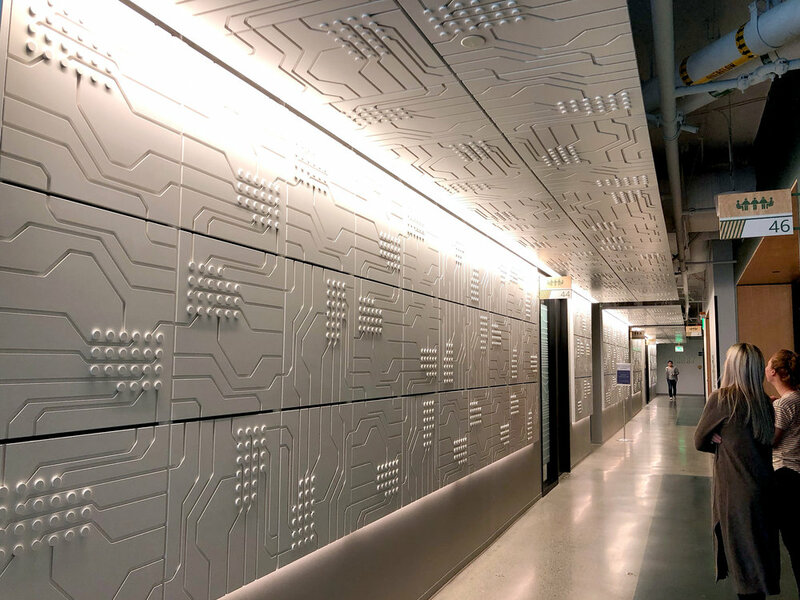 We recently made a visit to an exceptionally large project completed earlier this year as part of the top to bottom renovations of buildings 40 & 41 on Microsoft’s campus. A collaboration with Bora Architects, we’re quite pleased with the result. A deeper dive on this story, to follow. INNER CLOUD. Custom Rail Mounting System, MDF, Magnets, Integrated Lighting. DOWEL CLOUD. 5/8” Maple Dowels, Monofilament.